Viral media-loathing cynics have a tough pill to swallow: much to their chagrin, 2014’s Ice Bucket Challenge actually succeeded. 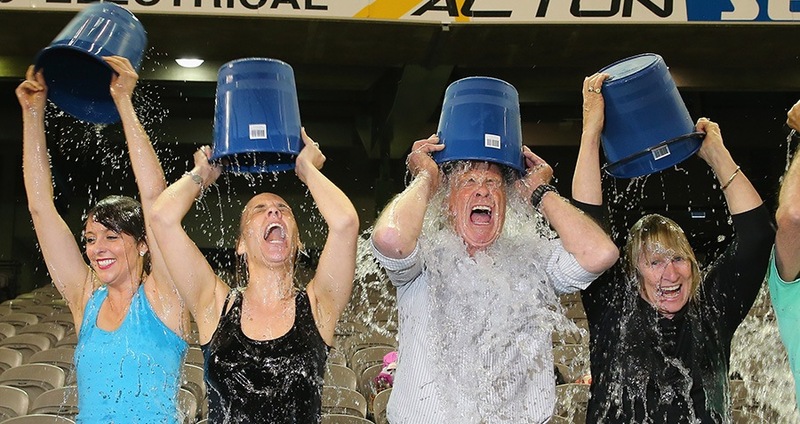 Indeed, the ALS Association announced on Monday that the social media-oriented campaign — which encouraged millions to dump buckets of frigid water onto their heads to raise money and awareness for Lou Gehrig’s disease — raised enough money to make a major medical breakthrough. The campaign raised approximately $115 million in just two months, two-thirds of which went to research and development, the nonprofit wrote. One million dollars helped fund Project MinE, which discovered a gene responsible for the disease. That gene is called NEK1, which “ranks among the most common genes that contribute to the disease,” the ALS Association wrote in a release. NEK1 plays a large role in the functioning of neurons — including maintaining the cytoskeleton (what gives the neuron its shape and promotes transport) and the mitochondrion (which supplies energy to neurons), according to the release. The discovery of the new gene will provide scientists with another avenue for treatment of ALS, which causes nerve cells in the brain and spinal cord to gradually deteriorate — to the point that within five years of diagnosis, ALS patients lose the ability to breathe and eventually die. MinE researchers say that without the Ice Bucket Challenge funding, they wouldn’t have been able to conduct their study on as large a sample of ALS patients, which researchers say was critical in discovering NEK1. Utilizing their Ice Bucket Challenge funding, researchers worked in an international, collaborative context to sequence the genomes of at least 15,000 ALS patients, according to the release. “The sophisticated gene analysis that led to this finding was only possible because of the large number of ALS samples available,” said Dr. Lucie Bruijin, Chief Scientist at the ALS Association.